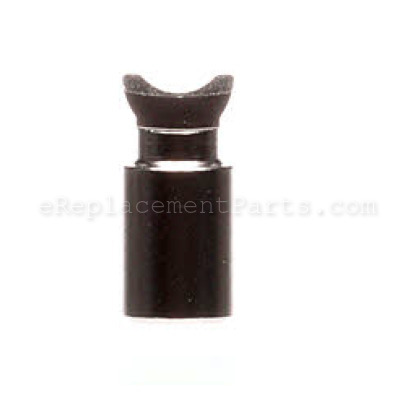 *This part replaces obsolete part #: 975304 and 5176. I replaced the old pawl, which had no obvious damage, and now the reel works perfectly. At the bottom of the level wind there is a small round cap that unscrews. Remove this and take out the old pawl. Insert the new one while pushing down on it and turning the handle to make sure it seats property and replace the cap. Takes 1 minute. Unscrewed pawl, removed old pawl, replaced with new part. Pawl was worn and line guide wouldn't cycle. Removed the cap holding the old part and replaced with new part. Took about one minute. Also replaced an internal broken part having to do with spool release and engagement. Original part was no longer available Was able to replace with the updated repair part. That took somewhat longer as it involved more extensive disassembly. Also cleaned and re-lubed other internal parts. All fit well and went well. Removed the old pawl and screwed the new one on. Removed pawl and replaced it. Line guide sticking on one side during retrieval. 1. Removed the side cover. 2. Slid the worm gear lock off. 3. Removed the line guide nut. 5. Slid the worm gear out. 6. Slid in the new worm gear. 7. Put in the new pawl in the line guide. 8. Replaced the line guide nut. 9. Replaced the worm gear lock. 10. Replaced the side cover. Lune Pawl and worm gear bad! Took off the side plate then took worm gear out and replaced worm gear and pawl. The linefeed mechanism would not move back and forth while reeling. 1) Unscrewed the cap that holds the line pawl in place. 2) Removed old line pawl and replaced with new one. Removed side plate/line/took apart reel/ cleaned with corrosion block and let set and soak/ gears closely examined /lube applied and put reel parts back together and tested. Follow schematic/make note of parts alignment I always use a good white cloth to place parts on as I work on any reel. Gun/reel screw driver set is recommended. Is the the plastic line pawl better or the stainless? Been repairing ambassadeurs for 15 years and have NEVER seen a "plastic" line pawl. Cannot imagine one would be sturdy enough last any time at all. Are you located in Biloxi, if so i need assistantin jackson co.
D'Iberville actually. Look up D'Iberville Rod & Reel Repair LLC on Facebook.